In college, one of my roommate LOVED celebrating holidays. Every holiday – even the more obscure ones – she would get a package of goodies from her mom, creating an atmosphere of celebration. The St. Patrick’s Day box included lucky charms and new green tights, the Valentine’s Day box included children’s Valentines for her to hand out to all her friends and sweethearts, and the Cinco de Mayo box included a mini pinata and Mexican candy. It brought so much joy to all of us who got to celebrate the holidays through those boxes. While it was a blast being one of the recipients of those magical boxes, I’ve realized that it went so much deeper. Yes, my roommate’s mom was sending fun treats to her daughter and her daughter’s friends but it went so much deeper than that. Her mom was sending traditions in those boxes. These were things that her daughter had grown up doing in order to celebrate the holidays and she was giving her daughter the chance to continue in those traditions even while being away from home. That sentiment has touched my heart to the core. As a new-ish mom, I’m doing my best to start traditions like those. I want to have things my family does for the obscurest holidays (maybe Arbor Day?) that, when my children are out of the house, they will be excited to get boxes full of goodies to remind continue the celebration with their friends. Even more though, that will be a constant connection of us as a family. After all, Kelloggs are Best Friends! Cinco de Mayo is coming up and, while it may not be an incredibly celebrated holiday, I’ve decided it’s going to be one that I’m going to celebrate with my family. I don’t exactly know what that will look like, and I’m sure it will change through time, but I definitely know Mexican food will be on the menu that day! 2. Cut up chicken into bite sized pieces and saute in skillet with one TBSP olive oil until cooked. 3. In another skillet saute chopped onion and chopped zucchini in one TBSP olive oil. When the onion is translucent, add garlic and saute until fragrant. 4. 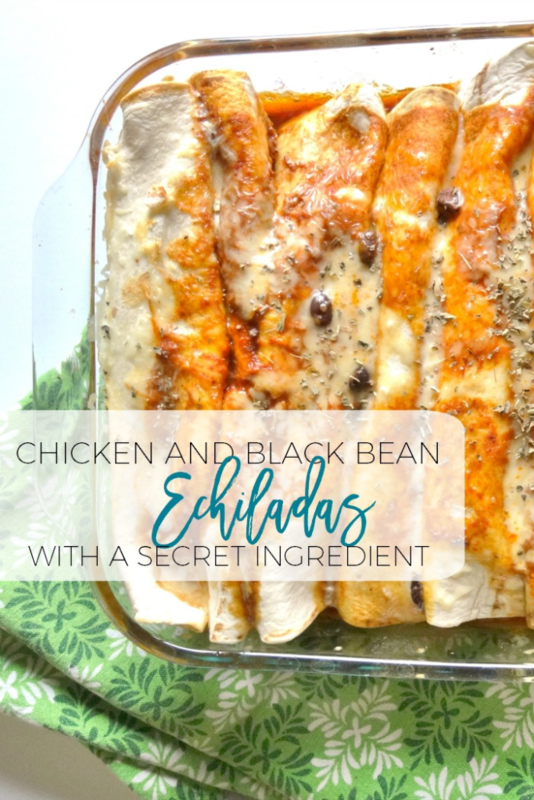 Combine chicken, vegetable saute, and beans with 1/2 can of enchilada sauce. 5. 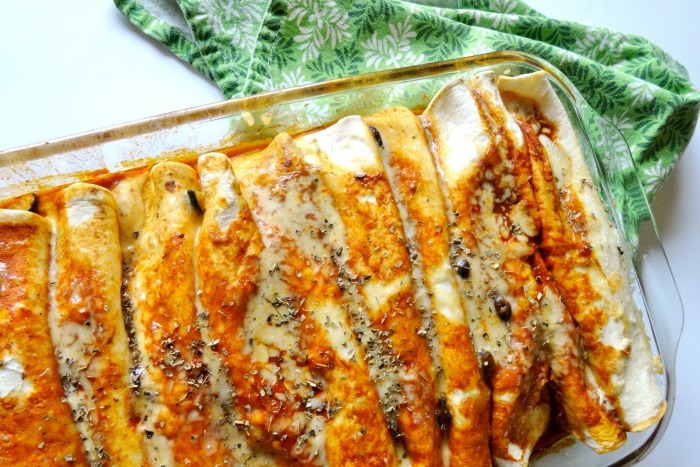 Spoon 2 TBSP enchilada sauce onto the bottom of a 9×13 baking dish and spread to cover. 6. One at a time, lay tortilla on flat surface, spoon 1/8 of the chicken mixture onto the tortillas, roll up, and place side by side in the baking dish. 7. Pour the rest of the enchilada sauce over the rolled tortillas. 8. 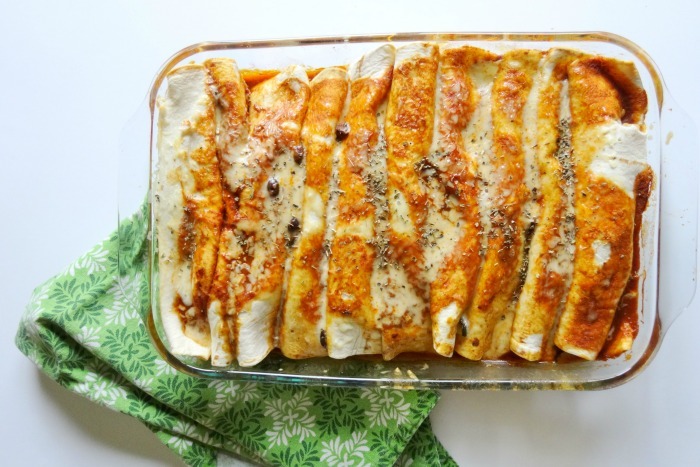 Sprinkle cheese over the enchilada sauce. 9. Bake covered by aluminum foil for 20 minutes and then uncover and bake another 10 minutes. Do you have any special traditions for Cinco de Mayo? How do you feel about going big for holiday traditions? Hi friends! Welcome to Simple Moments Stick. I’m Susannah – wife to Nate and mama to two precious little guys – Caleb and Josiah. I’m so excited that you’re here to join me in reclaiming the beauty of living a simple life. Sign up for our newsletter to gain access to the amazing resource library and get behind the scenes information, exclusive content, and extra special goodies!